Lisbon was on my list for a REALLY LONG TIME. But just like so many things in life, which you keep postponing and postponing (like that time I lived in New York for 5 months and never managed to see the Statue of Liberty, duh), I have never got to see the capital of Portugal – until now. So last December, when I saw Ryanair sale with a round-trip ticket at 40 euros – I decided to finally pay Lisbon a visit. I convinced a friend to join me there for 5 days around my birthday in January. And boy, was I not disappointed! With all the cities I visited in my life, I can tell you, that Lisbon is in the top 3 by now together with New York and Istanbul. (San Sebastian is not to count, since it is a town not a city). 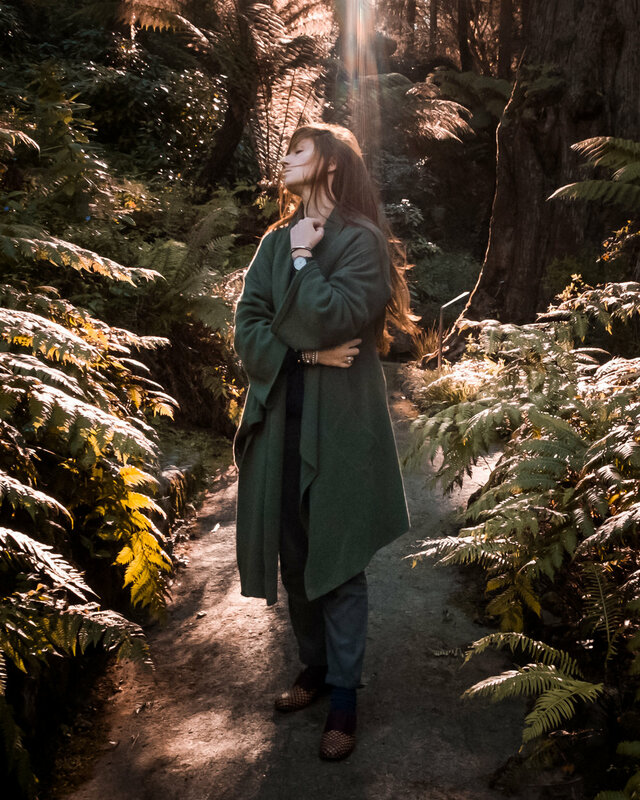 In these few days we managed to eat a lot, see a lot and also travel around a bit – to the photogenic neighboring towns of Sintra and Cascais. Read about that as well as about how I turned a 40-euro round-trip flight into a 140-euro round-trip flight (facepalm), below. 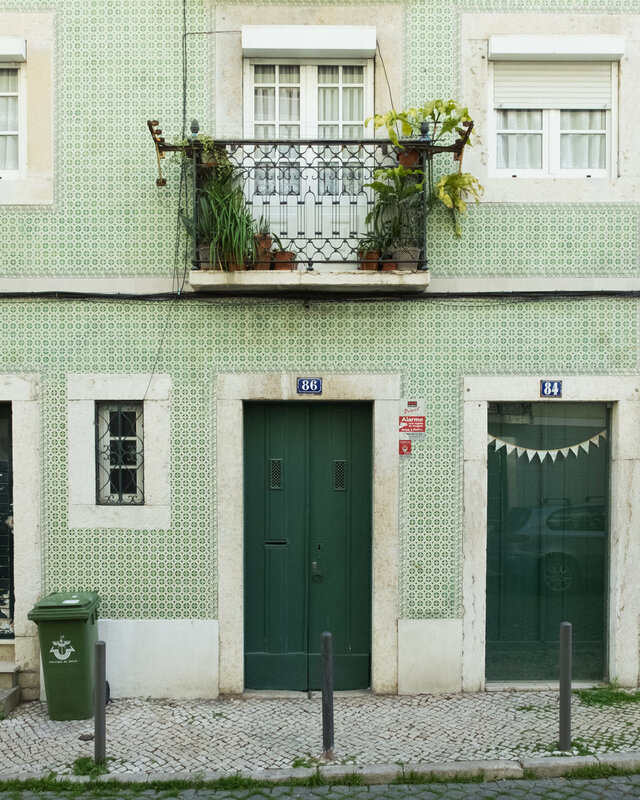 Colorful tiles and vivid tones distinguish Portugal capital from other European cities. Combined with a great weather (our January experience was 14-18C and clear sky every day) Lisbon is a perfect winter getaway for those, who want to escape gloominess and cold of Northern regions. For our stay we chose the beautiful centrally located hotel Fontecruz – situated a stone's throw away from all the main sights. Transportation was also quite easy – and the Uber prices are unbeatable. An average inner-city ride won't cost you more than 4-5 euros and a trip from the city center to the Airport is as low as 9 euros. If you prefer going by metro – even cheaper, as one ticket costs only 1,45 euros. 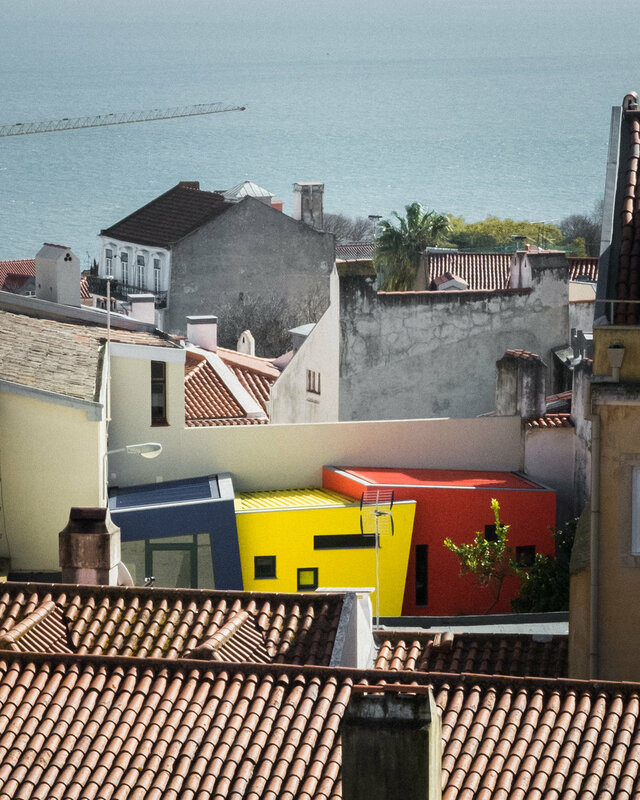 Lisbon has a beautiful topography with many hills and viewpoints around the city. 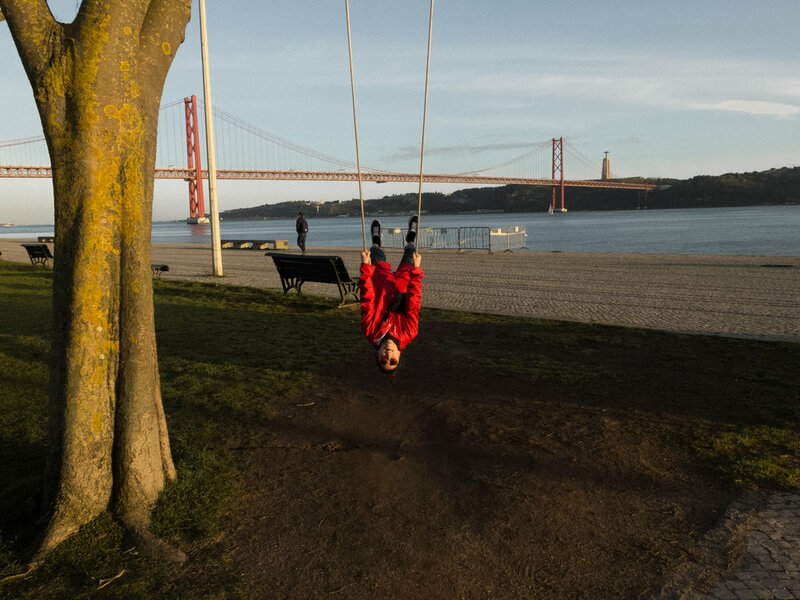 My favorite spots were the boardwalk along the river by the Belem district as well as the sunset views from the São Jorge Castle and Miradouro da Senhora do Monte. 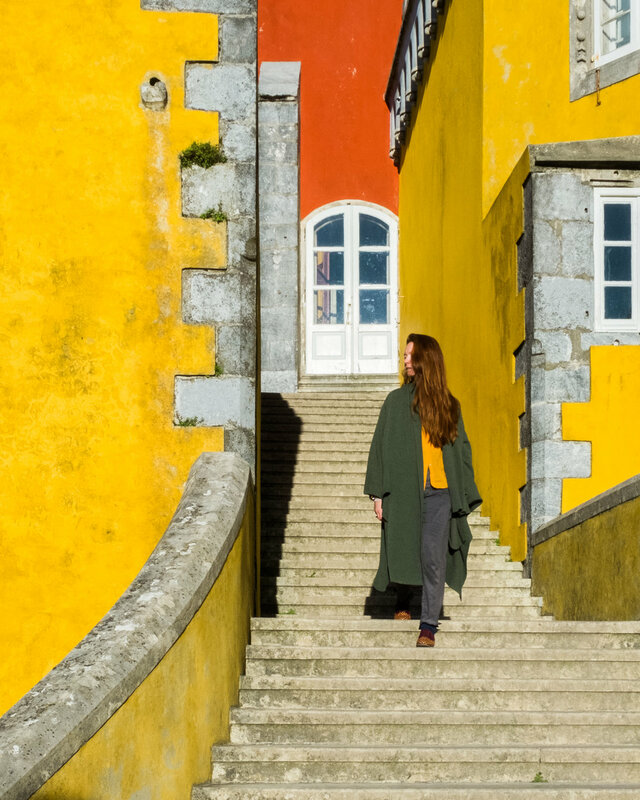 A popular day trip and probably one of my favorite short-trips ever was Sintra, a municipality in the Grande Lisboa region, easily accessible by train (around 8 euros round-trip). Sintra is dominated by three famous, very different architecturally and historically but equally stunning sights – romanticist Pena Palace with its fairy-tale colors and mysterious park, neo-gothic Quinta da Regaleira estate with its Instagram-famous Inverted tower and medieval Castle of the Moors, which offers a stunning view from its walls over the whole region up to the ocean. 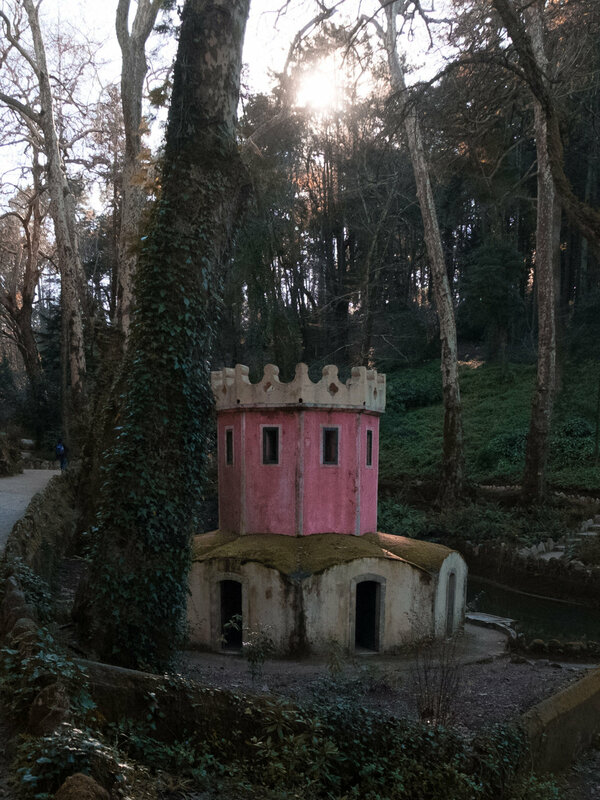 I have to add, that January was undoubtedly the best time to visit Sintra. We didn't experience any crowds, even though there still was a 10-minute line by the ticket office of Quinta da Regaleira. The guide near the Pena palace as well as reviews on Tripadvisor claimed, that in summertime the waiting time by the ticket-offices can be up to 2 hours. Overall, I try to avoid crowds as queuing usually kills the exploration vibe in me, thus I was really pleasantly surprised by the relative emptiness of the 3 monuments we visited. The weather was also perfect (sunny and up to 17C). After we've spent a beautiful day in Sintra, we were ready to go home, but the taxi lady (Sintra is really hilly and walking from one palace to another can take an hour up the hill) convinced us to take a short trip to Cascais – in her VW convertible (open roof in January, imagine that) and we stayed there for dinner. This wonderful coastal town is easily reached from Lisbon my train and is know to be the home of rich and famous. When it comes to food, Lisbon is unbeatable in price-quality conversion when it comes to fish and sweets. I am not a big fish-lover, but our 2-hour dinner at the touristy but incredibly tasty Cervejaria Ramiro was an amazing gastronomic experience. Don’t get put off by the ticket-pulling system at the entrance or by the not-so-cozy crowded interior – the food easily outbalances the disadvantages. We payed 60 euros for an indulgent dinner for two, which included a spider crab, oysters, (spooky but tasty) barnacles and a small bottle of wine. A pricier and fancier experience was lunching at A Cevicheria, where, as the name might give away, ceviche (South-American fresh seafood dish) is served. The dishes are quite small, but the presentation and the taste are of a superb quality. Overall a very pleasant dining experience. If you have a sweet tooth, you definitely have heard of Pastéis de nata, Portuguese custard tarts. The best ones we’ve tried were in Manteigaria. 1 euro for a tart plus 1,5 euros for a cup of coffee – that is a price of happiness. If you are a fan of third wave coffee shops, then The Mill, Copenhagen Coffee Lab and Fabrica Coffee Roasters are the places to go. I especially enjoyed the Copenhagen Coffee Lab by the flea market in Principe Real. And finally nightlife. There is a specific street in Lisbon, dedicated to partying, Rua Nova do Carvalho – called the Pink street, since it is literally painted pink. Not a fan of loud parties, I’ve skipped it for quieter speakeasies – Red Frog Speakeasy, with its elaborate menu and a cozy Foxtrot, with its 20s atmosphere and a great friendly bartender. 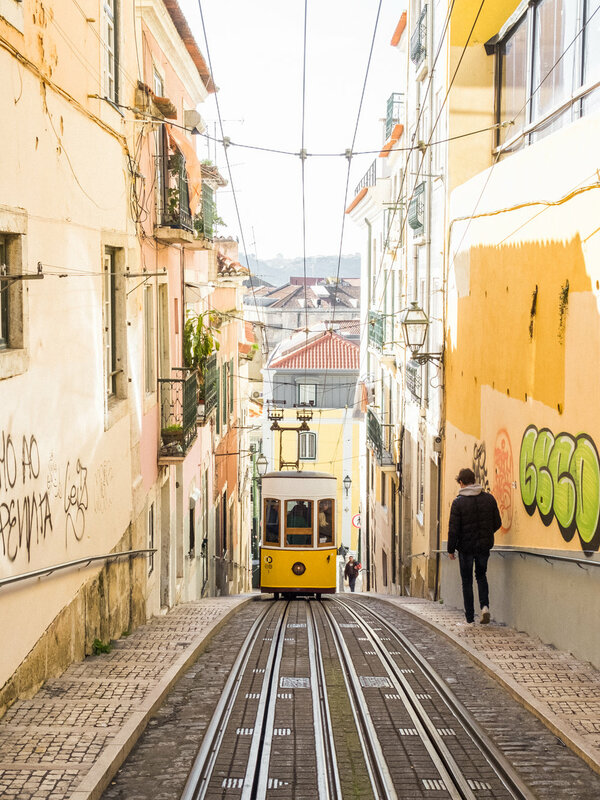 Lisbon would not be Lisbon without the famous funiculars and fado (the traditional music genre, which evokes feelings of longing and sadness) restaurants. 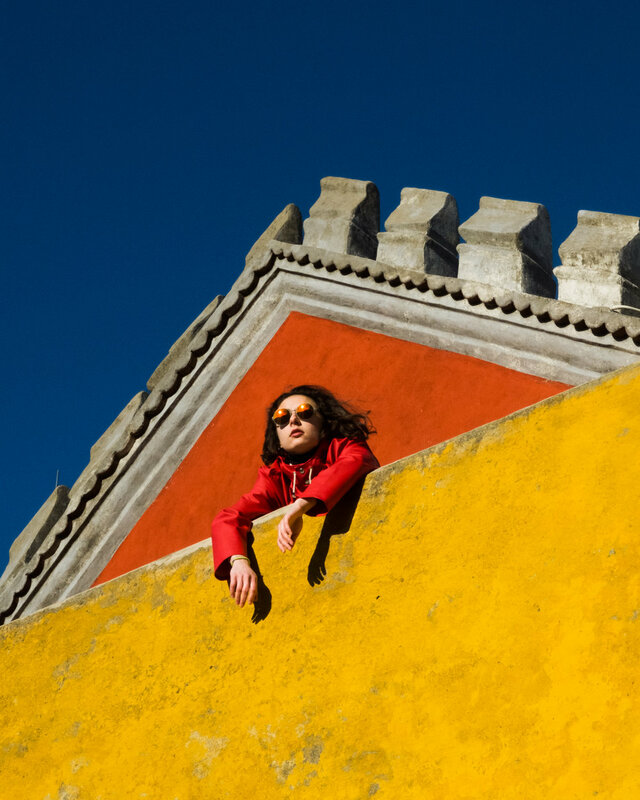 I’ve photographed the funicular at the arguably most beautiful street in the world – Rua da Bica de Duarte Belo, but I didn’t have a chance to listen to fado this time – unfortunately. One can usually book a fado dining experience – where you listen to the performance while eating, or you can book a cheaper version, where you only pay for the performance. The last but not the least point on the cultural program are the museums. 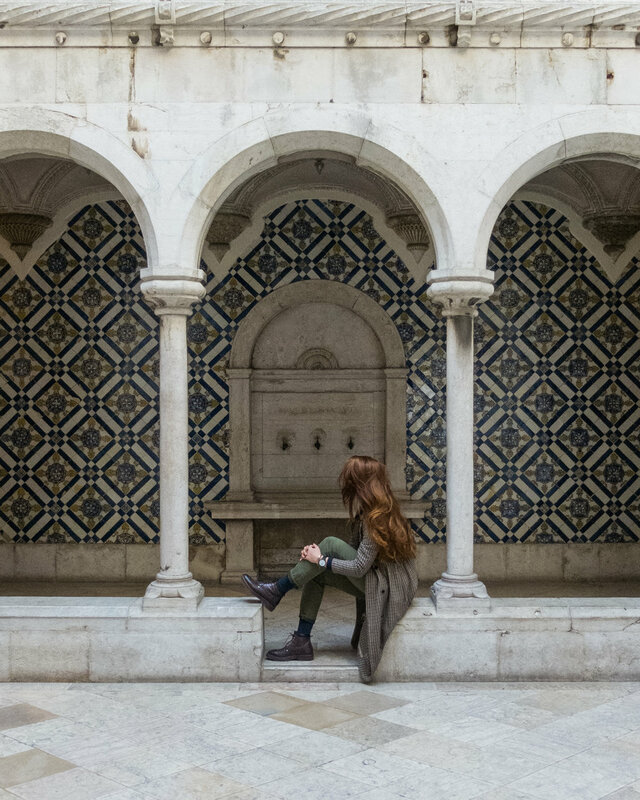 I would distinguish two places worth visiting – first the Calouste Gulbenkian Museum, with its impressive and vast ancient, classical and modern art collection, and the unique National Azulejo Museum – dedicated to the art of Portuguese colored tiles. Overall, the whole Portugal trip was an extremely pleasant experience. In fact, so pleasant, that we managed to miss our plane – and had to re-book our tickets for the next day. I would recommend Lisbon as a perfect long weekend destination and a great winter escape.